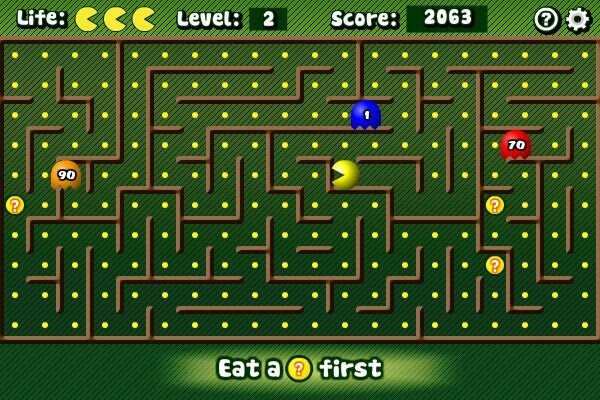 "An educational video game that is based off of a TV show that was based off of Pac-Man." Having many options out there to help educate your children is always a great thing, especially today with video games being a fun part of every child's lives. That is why having free options out there that you can download from the Internet opens up a lot of flexibility in what you can find for your children to play. Math Man is an educational video game that is based off of a TV show that was based off of Pac Man. So, if you remember Pac Man from back in the day, Math Man takes that same simple concept and makes it educational. This is a simple flash game in which you use the arrow keys to move the Math Man around the levels. Math Man is to move around the levels and catch all of the ghosts which scatter around the levels. In Math Man, you can only eat teh ghost with the number that solves the corresponding equation at the time in the game. This is a simple, yet great way to help your kids learn their maths in a very fun and simple way. 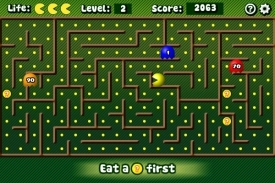 Just like Pac Man, you are to navigate around a maze to catch the ghosts in the game. Instead, you won't simply catch all of the ghosts for points, but only one ghost with the answer of the equation. The solutions can be tricky, but the rewards are great in the game and in real life for your children. Help your child learn a bit more about math without them ever feeling boring while learning.